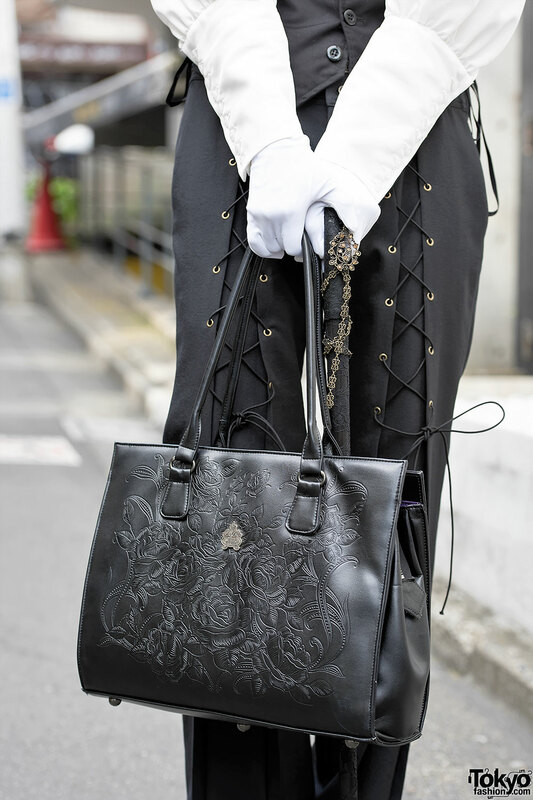 Gothmura and Ayaca are two 19-year-old fashion students who caught our eye in Harajuku. You might remember their previous street snaps. 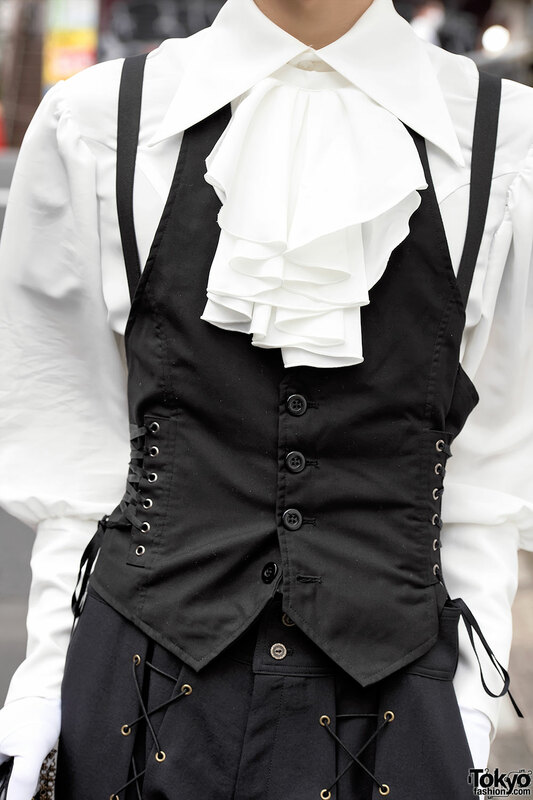 Gothmura – on the left with the top hat – is wearing a ruffle shirt from Atelier Boz with a Black Peace Now laced vest, lace-up Atelier Boz pants, and ankle boots. 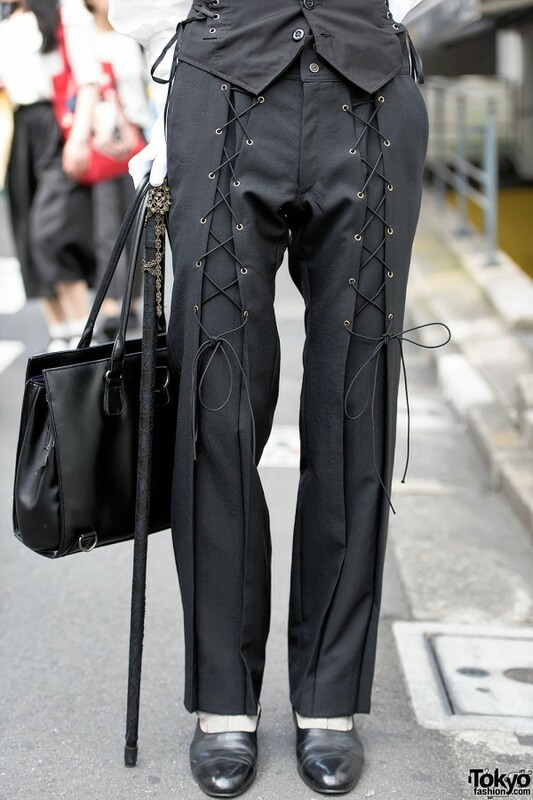 Accessories include his top hat, a cane, and a beautiful leather bag by Miho Matsuda. 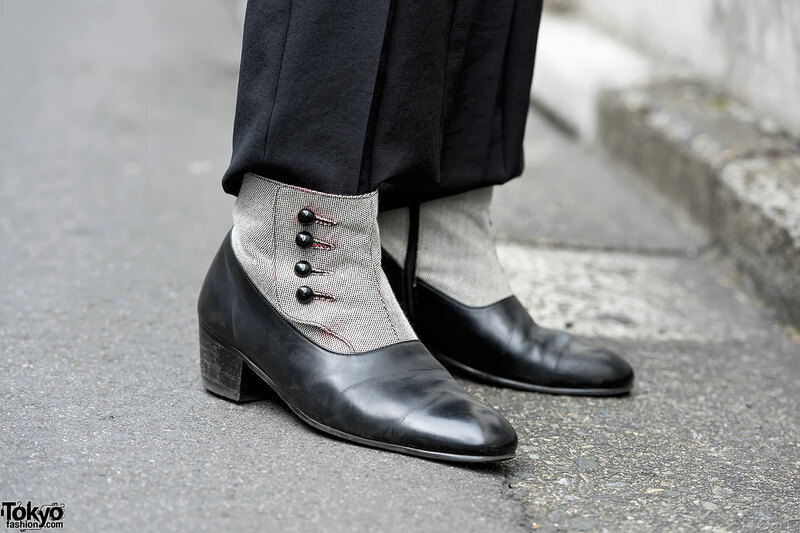 Gothmura’s favorite designers include Atelier Boz and Alice Auaa. 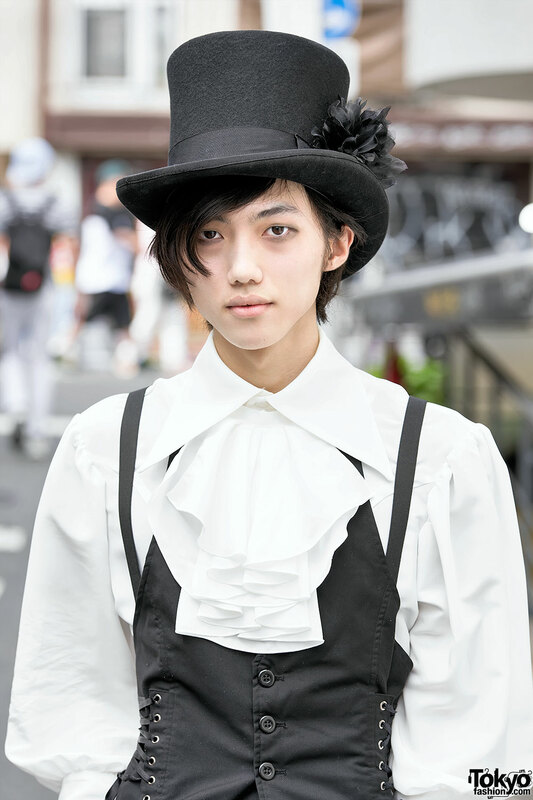 He listens to the music of Nobuyuki Tsujii, Black Veil Brides, and the Japanese visual kei band Karasu (Crow). Find Gothmura on Instagram or Twitter for more info and pictures. 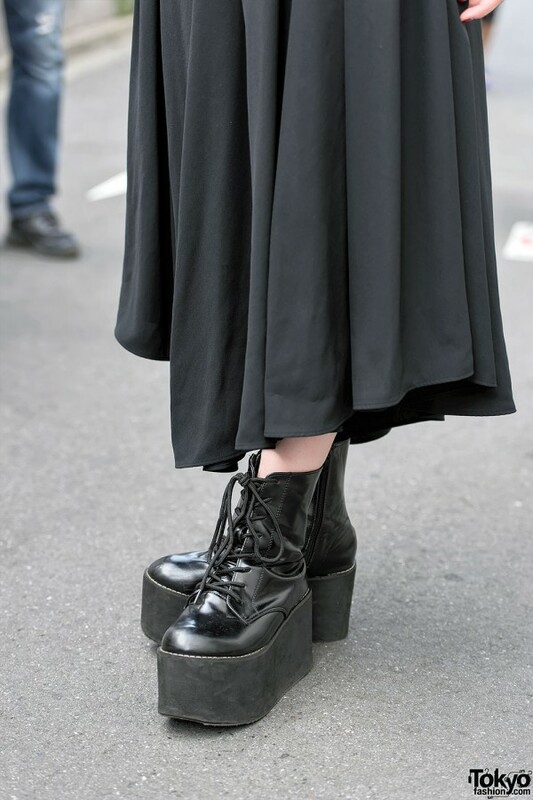 Ayaca – on the right with the bangs and dip dye hair – is wearing a black resale dress over a resale lace top, and Murua platform boots. 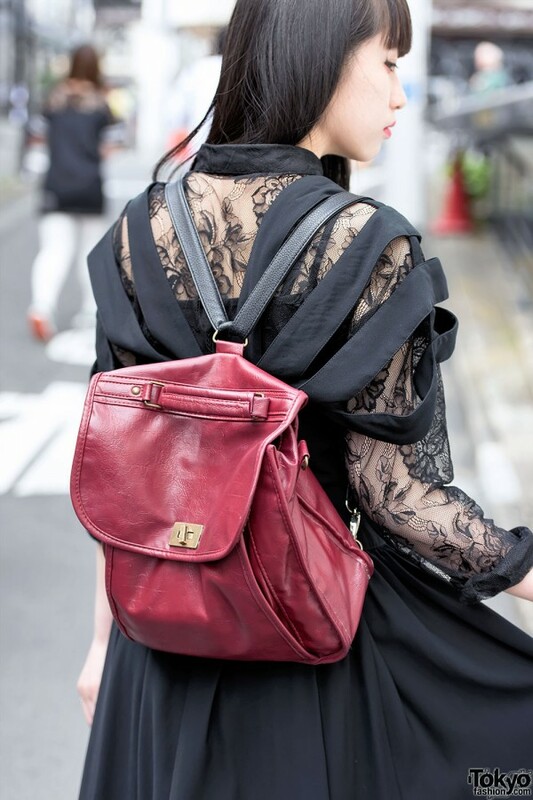 Accessories include a silver crown ring and a red leather resale backpack. 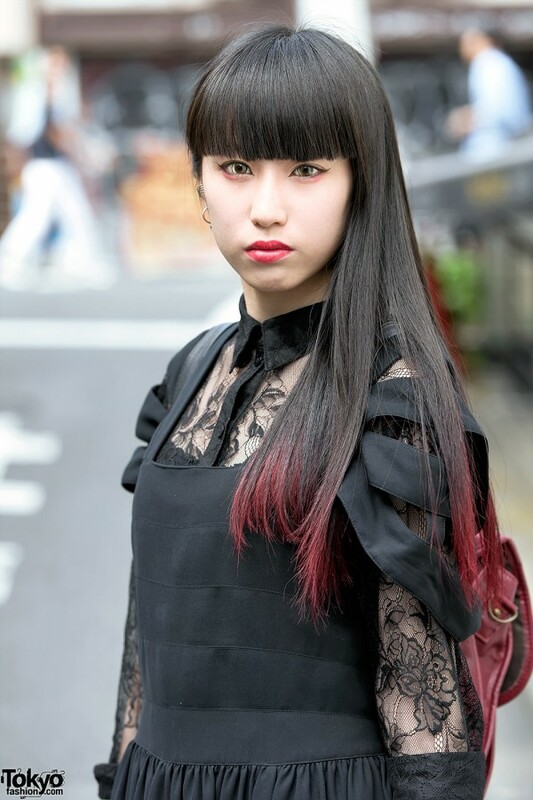 Ayaca’s favorite fashion brands/shops include Kujaku and Clique Tokyo. She likes punk music as well as [Alexandros] and My Chemical Romance. For more pictures and info, follow her on Instagram or Twitter. Greetings from U.S.A.. So happy to hear that a fashionable, with-it 19-year old such as Gothmura appreciates “the music of Nobuyuki Tsujii”. Bravo, Gothmura! Such an adorable and elegant couple! ?